When you love to share a bottle of alcoholic beverage with your friends or brothers and sisters you haven’t been with in a long, long while, it is a major hassle if you will need to keep on getting up to refill the ice in your glass from the kitchen. Imagine having to excuse yourself for that when everyone else are in the middle of telling their interesting stories. We are sure that’s not something even you can appreciate. Therefore, owning an ice bucket is great for these occasions. 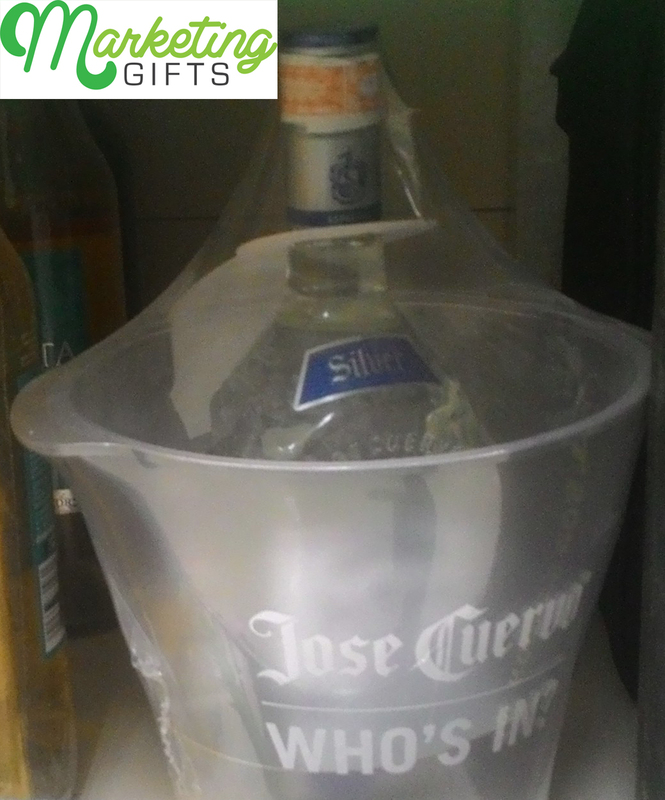 You can get a branded one for free when you purchase a large bottle of Jose Cuervo – the ‘number one tequila in the world’, as directly quoted from their website. High-Grade Materials Used. If the person is too drunk to hold the branded ice bucket properly and it slips from their hands, this will most likely not break even when it falls from a higher distance to the floor. This means that the brand only used high-grade materials to make this. Finer Deals. More deals may enter the brand’s domain through this promo gift, specifically from those who enjoy Jose Cuervo’s products. The gift with purchase will serve its purpose very well, and people are aware of this fact. Greater Brand Significance. This on-pack promotion makes the brand more significant, because consumers often the notion that ‘the bigger it is, the better’. The ice bucket technically is bigger than the tequila bottle, and it’s made of high-quality plastic. Hence, the people will love it. Let the marketing strategies at the Marketing Gifts blog to assist you when you market your brand.